"We would highly recommend Audra. She was prompt and to the point, trustworthy, and respected our home desires. She was patient while we experienced a limited market in addition to a particular "dream home". We never felt pressured, and always felt comfortable to talk, text, or call. She also gave helpful referrals during the inspection/buying process. We again, highly recommend this agent when looking or selling your home!" "Our experience working Audra was absolutely wonderful and nothing but positive. She was extremely helpful, patient, understanding, and reassuring throughout the entire process. Audra is very knowledgeable with the area and will help point out things to be aware of to truly help you find your future home. We highly recommend her as a realtor to anyone looking in the suburbs who wants a smooth, easy going experience." "We were in the middle of a stressful situation and Audra came in with a clamness, confidence and reassurance that helped us figure out the right price to list our house to sell as quickly as possible. 4 days and we had our home sold!!! Audra is knowledgeable, honest and trustworthy. A true professional that cares about her customers." "Audra is amazing! Thanks for all your help." 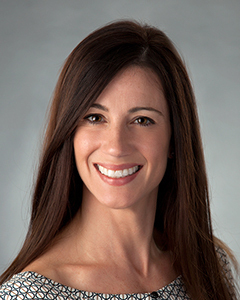 "Audra is a very knowledgeable broker with good insight to properties in the North Shore area. She understood what I was I was looking for in a home and very accommodating with working with my schedule and educating me along the way. I would definitely recommend her to anyone looking to buy a new home." "We enjoyed working with Audra. She got to know our needs and preferences, and was thoughtful about what would work for our family. Audra was responsive and thorough in answering our questions. She is knowledgable, and never made us feel silly for any questions or concerns. We very much appreciated that Audra was not pushy, and let us move at our own pace. We are very comfortable with recommending Audra to friends, and have already done so!" "Audra made our Northbrook purchase the smoothest we've ever experienced. Her local knowledge was incredible. We were most impressed with her responsiveness and calm manner. She is a seasoned professional and it shows in her dealings with the sellers, attorneys and the title company. We will not hesitate to contact Audra first the next time we buy or sell a property. We now think of her as "our" agent and you will too once you buy or sell with her! We just can't say enough good things about our experience with Audra!" "Audra was recommended to us by a co-worker and we couldn't be happier! She made our home buying experience in Northbrook a smooth and easy one. She is always friendly, professional and knowledgeable. Audra assisted us with every step in the buying process and was always easily reachable. We will use her for every real estate transaction from now on and I highly recommend you do, too!" "Audra went above and beyond for us. Fun to work with and knowledgeable." "I am incredibly impressed with Audra's diligent service from searching home to closing process which took for several months. She never left any questions unanswered and always responded promptly. I really thank her for the time and effort she spent with me and couldn't have asked for more.I can highly recommend her to anyone who is seeking a truly professional realtor." "We could not have been more pleased with Audra's knowledge of the real estate market, the worth of our home, and her willingness to always accommodate us during this very stressful time and transition. During challenging parts of the process, Audra was calm and confident and seemed to carry us through. We will forever be grateful to her for her help." "Being new to the Chicago area and looking to purchase my first home, Audra was exceptional in providing her knowledge of the market while always being available to answer our questions and provide honest feedback. Not really familiar with the greater suburbs of Chicago, Audra went out her way to provide marketing materials of each neighborhood and was patient and proactive in showing us different condos that met the criteria I was interested in. In addition, the thorough analysis she presented around comparable units selling in Northbrook brought upon interesting factors/metrics that I had not considered or was aware of. Audra cares about what the right fit is for her clients and will go beyond the necessary means to represent them with their best interest in mind. She is there throughout the entire process to make her clients comfortable from contract negotiations, inspection, and the closing process. It was a pleasure working with Audra and I highly recommend her to anyone looking to purchase/sell property in the future!" "Audra is a joy to work with and is very professional. She isn't pushy, but always helpful. She stayed on top of each step in the process and offered useful advice. She provided staging services which were extremely useful and advised us on which home improvements would be useful in selling our home. She made sure that the marketing materials were top notch. Fortunately, we didn't need most of the marketing materials because the house sold on Day 1 due to it being posted as a "Coming Soon" listing with professional photographs and being priced properly. We feel fortunate to have had such a positive experience." "Audra was amazing! She found us a house that we love that wasn't even on the market!! She was so patient with us while we searched with our two little boys. She found us great houses to view, really knew great information about each area, and listened to us about what we wanted. She also was very quick to find us new houses when others didn't work and was very quick to respond to any contact. She didn't give up till we found the right house! Lastly, she was so sweet and fun to work with. We will miss her!" "We were fortunate enough to meet Audra while touring one of her listings. Just in giving us a tour of the home, she really showed personal interests in us and what we were looking for. She was also very knowledgeable about the area and was able to answer all of the questions that we had. We knew we wanted to find someone to help us in our search, and Audra was a great! Right away she went to work in helping us to find our new home. Audra is incredibly responsive! Even when I sent her an email late in the evening so I wouldn't forget my question, she would respond immediately. Also, we were seeing properties at least the next day when we expressed interest. I feel like we looked at some many homes, and Audra was extremely reassuring when she noticed how discouraged I was becoming. She was so patient and proactive. She really made sure we found something that would suit our family.Once we found a listing we were interested in, Audra walked through the entire process with us and helped get our questions answered along the way. Even when we had questions after we moved in, Audra was there to help us through the transition. Bottom line, if you want first rate service, Audra is the person for you. Audra will take a personal interest in you and your family, and will go above and beyond to help you find what you are looking for. I am so grateful to Audra for helping me and my family not only find a house, but a home we all can enjoy. Thank you Audra!" "Audra is an excellent agent. I will miss seeing her on a regular basis as we had fun looking at properties with her. She ultimately found our new home in a place I never even thought to look." "This was such an unbelievably positive experience. We were lucky enough to run across Audra during an open house. From the get-go, she was helpful, knowledgeable, and very friendly. We were very excited to have her come to see our home, and be the realtor responsible for selling our home. Our home sold in 2 days - Audra did such an exceptional job. Audra also helped in the purchase of our new home, she was patient and kind. The entire process was 100% stress free - and I owe a lot of that to Audra. She was such a pleasure to work with!" "Working with Audra was a pleasure. From day one she expressed her interest in helping us to find the best place for us. She was very responsive and took time to talk to me even in late evenings. She was very flexible and accommodating. I would definitely recommend her to my friends. I will contact her in the future when I will either decide to rent or buy a property." "Working with Audra was an absolute pleasure! She helped us find a new home for our growing family on the north shore. Audra is extremely responsive, patient, and very knowledgeable. She helped us narrow our search and not waste our time looking at homes that didn't suit our needs. Audra is extremely knowledgeable when it comes to the neighborhoods on the north shore, schools in the area, and the overall home buying process. She made our search for a new home enjoyable and stress-free! Audra will be the first person I recommend for any family or friends needing to buy or sell their home." "Audra was with us every step of the way, and was able to provide knowledge, resources, and coaching for each of those steps. From clearly knowing her market, to clear communication, to having a keen sense of when to step up and when to stand back, she was a gem. I'd recommend Audra to anyone contemplating a real estate transaction in her area. In addition to her knowledge and competence, she's got a good network of related professionals at the ready, so all of your bases are covered. She's very responsive, sharp with her business sense, yet sensitive to the fact that the house you are selling has been your home. Working with Audra was truly a pleasure." "Audra is extremely professional, always ready to help, and very hardworking. She made our selling experience seamless and pain free, truly a first. She sold our property before it was even listed and she went above and beyond the call of duty. You won't be disappointed in choosing to work with Audra. Her flawless reputation will speak for itself. Thank you Audra!" "As a widow who decided to downsize, I didn't know what I wanted...was it a small single family home, condo, apartment, or town house. Audra's knowledge of Northbrook and the housing market helped me narrow my search and make an educated decision. Her negotiating skills are excellent as her immediate response to my phone calls and emails was comforting. I highly recommend Audra."